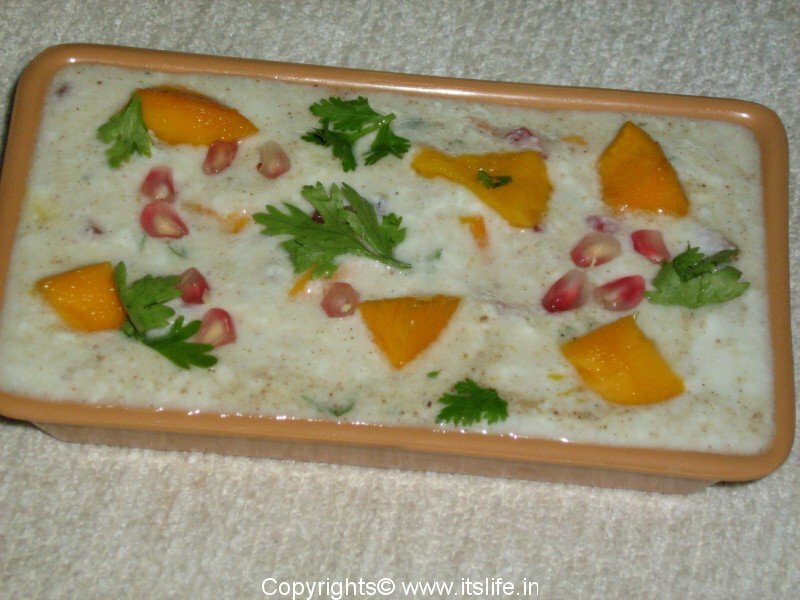 This colorful raitha aptly named as Rangeela Raitha is prepared using the king of fruits Mango. Rangeela Raitha is ideal to enjoy as a snack or as an accompaniment with Roti / Indian bread or Paratha / Stuffed Bread. Mix all the ingredients together, chill and serve.